For a while now... Room 1 literacy and I are learning about what Pseudoscience is and how it effects people. Pseudoscience means "Fake science" and advertisers use pseudoscience to trick people into their product. 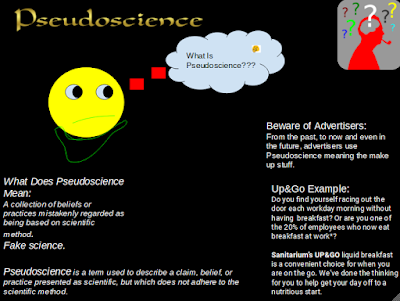 Read carefully and understand how pseudoscience affects people including you.